What is Instagram? It’s a social media platform that enables it’s users to take, edit, and share photos and videos. It was released originally released in 2010. As of July 2016, it’s reported to have over 500 million monthly active users (Over 300 million are active every day!) and over 95 million daily posts. 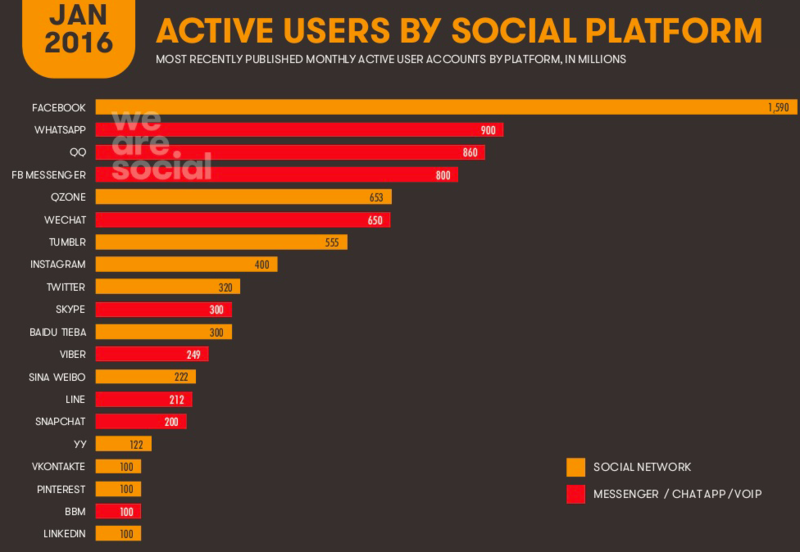 According to research, Instagram is the 4th most popular social network available. Similar to Twitter, Instagram is mobile first. This means that most users are using the platform on their mobile devices. This is unsurprising for Instagram, since you can only upload photos and videos via the mobile app. Originally Instagram allowed only for square photos, but an update released in August 2015 allowed users to upload photos of any aspect ratio. In October 2014, videos premiered on Instagram. At the beginning they were only 15 seconds long, but that length has been extended to 60 seconds. Videos can be posted by users and also used in ads. In April 2015, Instagram released carousel ads, which allow users to share multiple photos and videos. Originally they contained only photos, but now photos can be mixed with videos. However, there is a limit of 1 video per carousel ad. On Instagram, everyone can edit their own photos and videos with filters and tools to make them more interesting. They can also be edited and composed alongside your profile theme to tell a story. To see some inspiring case studies visit Instagram for Business blog.